Night or Day – When Is Scuba Diving More Inviting? If daylight scuba diving is synonymous with discovering a whole new world, then during night time, it’s called rediscovering. If you are planning to give this hobby a try and you are wondering what the differences are, there’s a major rule of thumb you ought to know. The great revelation is there’s no such thing as one type of diving being better than the other, but there’s a certain order in which they should be done. 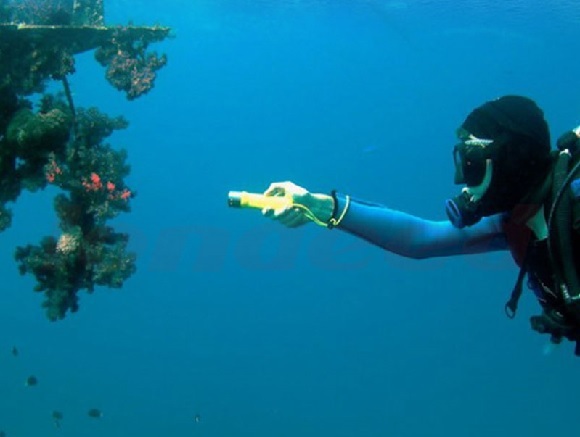 Scuba diving at daytime will allow you to become familiar with the area you’ve chosen. Illuminated by the sun, the ocean will flaunt its beauty, showing off the rich life and the different relationships that exist under the sea. A pro piece of advice is to spend a few days diving during daytime and there are several reasons for this. First off, if this is your first time, it is likely that you’ll be overwhelmed, even a little bit scared and it’s always easier to conquer this fear when there’s sunlight. Secondly, in order to be able to enjoy a fully adventurous nighttime dive, you have to make it more puzzling for yourself. This can be done by memorizing certain areas you explore during the day. By memorizing as many details as you can (it’s a good idea to use a camera and capture a few too) you might get the impression that you can find the same places at night as well. However, this is far from truth. The main reason for this enigma are the amazing nighttime events that occur under the sea – yes, there’s nightlife down there and you are invited to attend. The most mesmerizing of them all is the event of the opening of coral polyps. They open to feed at night since they can only draw nutrients from the currents that pass. However, if you had memorized how they look in sunlight, they’ll be wearing quite a different gown (much more colourful) at night. Just remember to get a quality rechargeable diving torch and your camera of course, cause you’ll want to take a good look and a good photo too. During the day, you can use your diving torch to look into dark cracks and crevices, however dive lights are especially useful at night because their light allows you to see most of the color spectrum of what you’re observing. It’s safe to say that what you see in your beam of light are in fact the true colors. This is why night underwater photography is so breath-taking. Yes, when it comes to jaw dropping photos, it might sound strange, but so much more is revealed under the artificial light of the torch and the camera than in daylight. Don’t wait too long to dive in.